MASKerade: CASology 16 - Wild! This week's CASology Cue Card is WILD! The exciting (or wild) thing about this card is that I went a little wild and drew it by hand with my 110 Special Black Copic marker, leaving the little white spots for shine and dimension. I admit to a few practice runs (especially getting the two lines of the mouth to be somewhat even!) but it really wasn't too difficult. Made me feel quite authentic in my art! lol! Now it's your turn to go wild - I can't wait to see what you come up with - every week it's a real treat to see all the creativity that you have! Definitely a seal, and oh so cute! Is this the start of a new career? I just saw this on Casology blog and it made me smile, so popped over to let you know and how cool that you hand drew it-brave wild child! Great idea! Love your seal with white fur that growls and barks! Personally, seal has my vote! Very creative Ardyth, so cute! Go you, Ardyth Artist!! Awesome! I think it looks like a sweet otter. But they're wild, right? Just cause it's wild doesn't mean it has to be frightening, right? Also, because I'm in the mood, I see black Jujubees. Which are wildly maddening stuck in your teeth. Well done Ardyth! Undoubtedly a precious white seal. Great eyes that evoke emotion like ahhhh or ohhhh or soooo cute. Oh, you're so creative, Ardyth! Don't ask me to draw anything..but what a fab job on the 'wild' challenge. What a fun CAS card. You are amazing, you just drew this from your imagination? Wow, very impressive. It's totally a seal. And a very close likeness at that. LOVE your hand-drawn card...too cute! 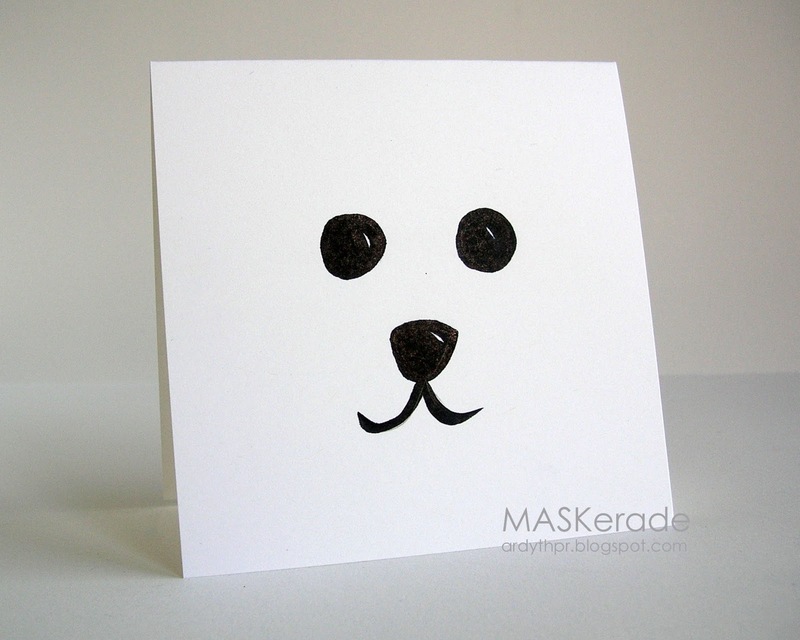 Oh Ardyth, this is so cute and such a clever idea for your card.